Bloody Mary Mix recipe by Marium at DesiRecipes.com. 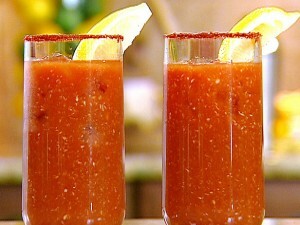 A Bloody Mary is the perfect drink on a Sunday afternoon, over brunch or any ocassion. It is very spicy, and needs time to blend flavors. Combine all ingredients.Store covered in the refrigerator.